We believe in providing Excellent quality services and making Everyone look and feel gorgeous. It is no wonder why MONSOON-id is Making heads turn. ADDY LEE is one of Singapore’s most Sought-after hairstylists, Popular with Top local celebrities, fashion labels and Society’s elite for his cutting-edge and Creative hair designs. This phenomenal entrepreneur started taking interest in hairdressing at the age of 13. Although still schooling, it did not deter his passion for hair. He enrolled himself as a trainee in a hair salon in Penang, Malaysia – alternating between his books and his scissors. He has a dream, and that is to be a successful hair designer. In 1990, at the age of 19, He left his hometown in Penang and went to Singapore in search for that dream. For 3 years, he moved from one establishment to another, gathering experiences in both the creative art of hairdressing and the competencies of running a hair salon business. 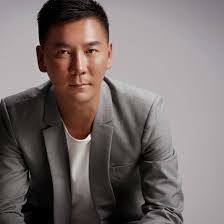 His achievements to-date include having 9 salons in both Singapore and Malaysia. Now, he has started Monsoon Hair Academy to help like-minded individuals who wish to establish a career in the hairdressing industry.